REVEALING THE DESIGNS OF TOMORROW, TODAY! Domani Design Group is a multi disciplinary custom kitchen design firm located in the heart of Toronto’s design and décor district. We specialize in full service home design, manufacture, sales, import, installation, and customer service for custom residential and multi unit projects. With its “great first impression” philosophy and the 40 years of experience under owner and president Oscar Visentin, Domani has achieved an eminent reputation. 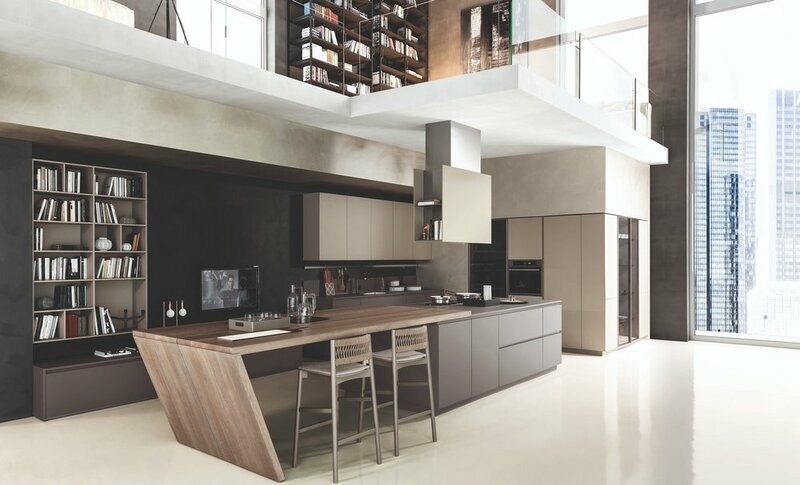 Domani Design Group first started with it’s locally manufactured collection, Domani Kitchens. Specializing in kitchens, bath, and millwork, Domani Kitchens is 100 percent custom cabinetry. Taking you from the fine, ornate details of traditional to the clean, minimalist designs of contemporary. Domani Design Group is the exclusive distributor in Ontario of Pedini Cucina products from Italy. Since 1957, Pedini has been a trendsetter in home design and technology. Today, Pedini is not just a leader in the modern kitchen design arena but also a pioneer in the area of eco friendly kitchen production and green kitchen products. It is globally renowned as one of Italy’s best style exports on par with Gucci, Armani, Lamborghini and Alessi. Domani Design Group is the exclusive distributor in Ontario of Doca Cocina products from Spain. The company was founded in 1980 in Vinaròs (Castellón), quickly becoming an iconic trademark in kitchen furniture and cupboards for those looking for a medium to high range product for their home. Halfway between an industrial manufacturer and the renowned finishes of an expert carpenter, pieces from muebles de cocina DOCA seduce perceptive clients who are searching for unique, customizable furniture. Domani Design Group brings the e-commerce collection of Casa Living to the one of a kind designs of tomorrow, today. An exquisite collection of luxury European brands supplying all your home design needs in one place. Featuring convenient shopping for your luxurious lifestyle year round with 24/7 support and UPS shipping for incredibly fast service. There is no better and safer place to order premium European products on the internet.